Today’s post concerns one of the more unusual and companies I’ve come across in my research. Keweenaw Land Association has a long and interesting history, stretching back to before the industrial revolution. During America’s great age of canal-building in the second half of the 19th century, Congress made a land grant to a company engaged in building a canal across the Keweenaw Peninsula of Michigan’s Upper Peninsula. The canal would speed travel along the southern coast of Lake Superior. Financial difficulties ensued, and the canal was not completed until 1891, 23 years after it was started. The finished canal was sold to the US government, leaving the company with 400,000 acres of wilderness in its possession. The company went through a few iterations, but was organized as a Michigan partnership in 1908. The company reached its present form in 1999, when it reorganized as a Michigan corporation. Over the course of the twentieth century, Keweenaw did exactly what one would expect it to do with 400,000 acres of densely forested, sparsely populated land: it sold timber. The lands were heavily logged to support the war efforts during both World Wars, but the company transitioned to a modern model of forest management in the 1960s and continues to manage its forests sustainably today. Modern forestry is focused on optimizing total returns over a forest’s entire life cycle rather than maximizing current income at the expense of future harvests. Over the years, Keweenaw’s lands have produced millions in profits for their owners and will continue to do so for centuries longer. The company also engaged in leasing its mineral rights to miners and prospectors. The Keweenaw has long been a producer of copper and other minerals, though production of copper actually peaked in 1916. Today, the region produces only token amounts of copper. Still, Keweenaw Land Association still owns the mineral rights underlying all its original lands, even those that have been sold since the founding of the company. 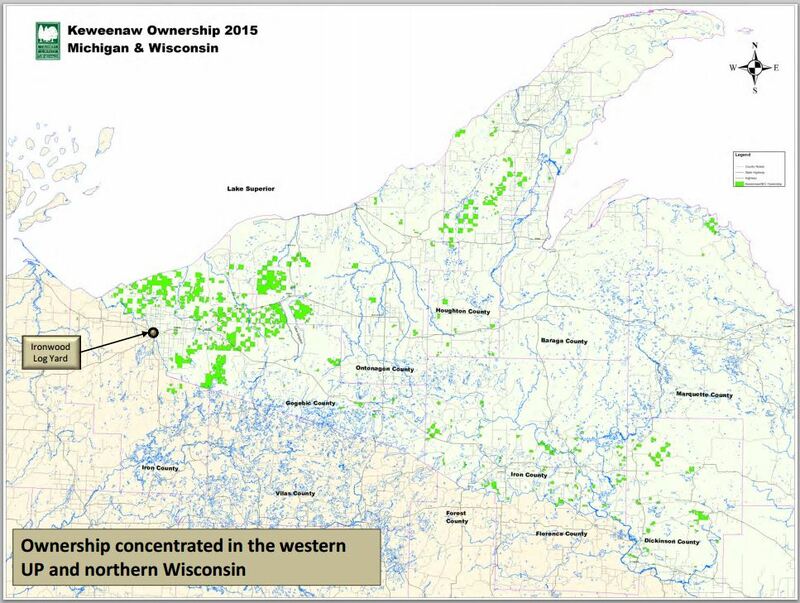 Today Keweenaw Land Association owns just over 167,000 acres in Northern Wisconsin and Michigan, plus the mineral rights to 402,000 acres. Nearly all the company’s land holdings are productive timber assets. The most current map of the company’s properties is below. Keweenaw’s properties are non-contiguous, but concentrated in Gogebic County. Before I get into the value of Keweenaw’s timber assets, allow me a moment to discuss timber as an asset class. I’m a fan. I think nearly every investor can benefit from exposure to timber. It’s an ideal inflation hedge in a way that other commodities can’t be, because it has a yield. Precious metals and oil are inert. They sit in the ground until they are extracted via expensive, capital intensive processes. Mines and wells are heavily regulated and production can take months or years to scale. Timber, on the other hand, multiplies itself over time and is far easier and cheaper to harvest. Even in non-inflationary times, timber provides an on-going yield with only moderate investment by the owner. The sun and the rain are free, after all. If the prices of logs and land increase, well that’s just a return kicker. The value of Keweenaw’s timber lands are subject to the fluctuations of timber prices, which vary in anticipation of data like housing starts. Every three years or so, the company hires a consultant to perform a valuation of its timber lands. The results for the last few surveys are presented below. As Keweenaw is fond of pointing out, the value of the company’s timberland has grown substantially over time, compounding at 5.6% on a per-acre basis from 1998 to 2012. The value of the company’s holdings has grown through good forestry, but also through the company’s policy of selling off less productive lots for recreational and development uses and reinvesting the proceeds in more valuable timber lands. The company is able to defer taxes on these transactions by using 1031 exchanges. Unfortunately for Keweenaw, timber prices have fallen since 2012 because the anticipated increase in new home starts has taken longer than expected to materialize. When the company performs its 2015 timber valuation, I expect to see valuations somewhere between those of 2009 and 2012. As for the company’s mineral rights, no active mining is taking place on the company’s acreage. There is a fully permitted mining site and Keweenaw has a royalty agreement with Canada’s Highland Copper. However, the prospects of Keweenaw receiving any material royalties are dim. The low price of copper has Highland Copper in a holding pattern, and most of the minerals underlying the company’s land cannot be extracted economically. Should prices for copper and silver double or triple, maybe some mining activity will occur. The company estimates its lands contain nearly three billion pounds of copper and nearly sixteen million ounces of silver. But as is, Keweenaw’s mineral rights do not represent a meaningful source of value for shareholders. So what does it cost to buy $130-something million worth of timber, with an “out-of-the-money option” in the form of extensive mineral rights? As I type, Keweenaw has an enterprise value of just over $105 million. So right there, the entire company trades at a discount of around 20% to the value of its timber holdings, ignoring the mineral rights entirely. In a May 2015 presentation, management touts the company’s long-term returns, showing its 20 year compounded annual return at 9.87% compared to 7.12% for the S&P 500. But this is inaccurate. The S&P 500’s total return was actually in the mid 9% range for the period. The company conveniently ignores the index’s dividends. So while Keweenaw did outperform, it was only by a slight margin. The short-term picture is much worse, however. From 2005 to 2015, Keweenaw returned only 3.54% annually, compared to over 8% for the S&P 500. Year to date, shares are down 17%. The main reason for Keweenaw’s lackluster recent performance is timber prices. The housing boom of the mid-2000s pushed up lumber prices and with them, the value of timber-producing land. Despite a substantial rally from 2009 to 2013, lumber prices remain nearly 30% below 2006 levels. That explains the low rate of appreciation in Keweenaw’s lands since 2006. Management has been successful in controlling costs and earning higher margins from its timber sales, earning a gross profit of $46 per cord-equivalent compared to just $24 in 2010. While management’s cost control and forest management are certainly positives, I do wish they would be more aggressive in attempting to create value for shareholders. Management seems content to harvest only a tiny portion of the company’s lands each year, and canceled shareholder dividends in 2010. There doesn’t seem to be any serious consideration of soliciting offers for the company’s holdings or failing that, taking on a modest amount of leverage in order to increase returns. For a number of years a dissident shareholder tried to persuade the company to pursue all manner of potentially lucrative actions, like undergoing a REIT conversion or exploring wind production. But each time the shareholder was rebuffed and eventually gave up. Just recently, Keweenaw added a new member to its board of directors, a Mr. James Mai. Mr. Mai is the single largest Keweenaw shareholder at 26%, and the head of Cornwall Capital, a family office founded to manage the Mai family fortune. It’s not at all surprising that a family office would invest extensively in timber, which promises attractive long-term returns and even better, tax deferral. I expect the company will continue to operate profitably under Mr. Mai’s watchful eye. There are more opportunistic and aggressive timber companies out there, but probably none that offers cheaper timber than Keweenaw Land. For investors looking for a long-term diversifier like timber, Keweenaw may be worth a look. Short-term results may be volatile as timber prices rise and fall, but long-term results should be solid, especially if and when inflation comes around. 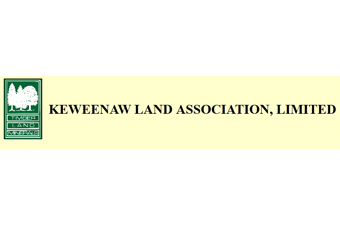 Alluvial Capital Management, LLC does not hold shares of Keweenaw Land Association, Ltd. for client accounts. Alluvial may buy or sell shares of Keweenaw Land Association, Ltd. at any time. I owned a small position in KEWL for about 10 years until a couple of years ago. I bought it with the same understanding that timber is a good long/very long term asset to have in one’s portfolio. After all the failed proxy fights, a new company taking over the mining rights and management intransigence in doing the same old thing, including upwillingness to engage in more open shareholder involvement, I gave up and sold with a profit (it was larger a few years earlier, but I kept holding on hoping that things would change). At the time, the Ayer family apparently had a controlling interest in the company (they started the company early in the twentieth century. I agree that the market value of the stock should be a lot higher. However, the Ayer descendant running the company has always wanted to keep doing things his way. I was surprised to see that there is a new substantial owner – perhaps the Ayers sold some of their holdings to him. Maybe this new minority owner will move things along more quickly vs. a snail’s pace (actually, the snail moves faster than what has occurred at KEWL in the past). Interestingly, James Mai of Cornwall Capital is one of the protagonists of Michael Lewis’ The Big Short. Cornwall’s strategy of profiting from mispricings is a really interesting part of that book, and might bode well for this stock. There was a very nice interview with James Mai in Jack Schwager’s “Hedge Fund Market Wizards”. I thought he came off very impressively. Seems like a guy you would want to see on the board of one of your investments. Tons to like about this investment idea, but I can’t wrap my head around paying $100M for a business which does under $1M / year in income. I take appraiser valuations with a grain of salt (particularly when they are hired by the company). At 100x earnings, it would seem to me the minerals optionality and potential tailwinds behind timber prices are plenty priced in. Is there something I’m missing? On a side note, thanks for all the great posts over the years. Big fan of this blog. I don’t think it’s reasonable to value a timber company by their annual income. I commend management for taking a longer term view and not harvesting timber just to provide a dividend. Let the timber continue to grow and become more valuable. Harvest it when timber prices appreciate. I certainly agree. Let that timber appreciate and defer those taxes! In the long-term, there must be some sort of connection between a business’s valuation and its income (or better yet, cash flow), even if we have to make assumptions about what a normalized income would look like. If Keweenaw is currently producing less than what’s sustainable… Anyone have thoughts on what net income would look like given normalized, sustainable production and price levels? Another way of putting this is (1) how much is the company under-producing (in terms of sawtimber and pulpwood) vs. sustainable levels while waiting for prices to rebound and (2) at what prices for sawtimber and pulpwood would the company return to those levels of production? Oh, I certainly agree. Over full cycles, Keweenaw will go through periods of over-earning its assets and under-earning them. I believe we’re currently in a period of under-earning, but it won’t last forever. Thanks for the kind words about the blog. Mai is an extremely capable investor and thinker. I didn’t make much of that in the post, but it’s a point in Keweenaw’s favor. As for the ratio of current earnings to market cap, I think it’s important to remember that Keweenaw’s annual harvest is lower than the annual increase in harvestable timber value on their lands. So there’s essentially a good bit of “phantom earnings” that are being deferred to future harvests. This is a nice way of deferring taxation, as well. I don’t know exactly what the company’s “normalized” earnings are, but I’d wager they are multiples of the reported annual earnings. Hi there, as owner of a (very small) forest, here are my two (slightly simplifying) cents: the major value-drivers of a forest are 1: location (is your land a beautiful piece of nature close to Chicago?) 2: inventory (how many harvestable trees do you have standing on your ground?) 3: soil/weather (these factors dictate how much wood your land can grow annually per acre). If location is the dominant constituent of value, then typically your forest will be a very low return on asset business and you can create value by selling and redeploying into something with higher ROA. Annual growth of wood per acre determines how much wood you can harvest per year without reducing inventory, which basically determines your sustainable earningspower. Inventory is very cash-like (although it fluctuates with timber prices, which can be quite volatile). You need a good grasp of these factors to determine intrinsic value. Thanks for your input. There certainly are a lot of factors that impact the value of timber properties. While I don’t have as much direct exposure to the industry as you do, my family also owns some harvestable timber properties in Northern Pennsylvania, and I worked at a mill while in college. We processed almost exclusively black cherry, which is highly sought after. Thomas Bachrach’s concern “I can’t wrap my head around paying $100M for a business which does under $1M / year in income”, i.e. ROA < 1%, sounds awfully familiar to me – just percentagewise, not in absolute terms ;-). In my case it is a consequence of high location value.